Skydiving is not allowed in the City of San Francisco due to airspace restrictions. All skydiving centers are 1-2 hours driving distance from the city! 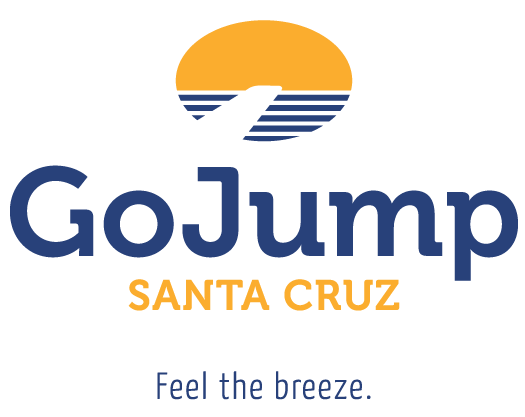 Skydive San Francisco is cooperating with GoJump Santa Cruz, just 90 minutes South of San Fransisco. 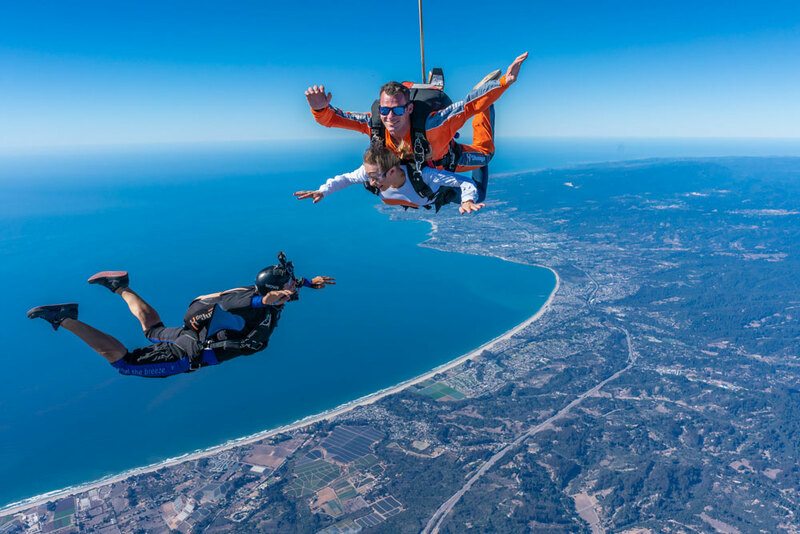 California's premier skydiving center serving the San Francisco Bay area,with a focus on first timer tandem skydiving. 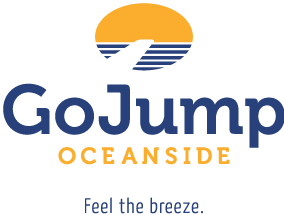 It is the closest skydiving operator to San Francisco offeringunbeatable Ocean Views-guaranteed . Dont take our word for it . Check out what clients from Northern California have to say about the awesome those ocean views. Indepdentant first time skydiving reviews. If Yelp want enough , check out Googles reviews. A great mix of reviews from various locations to include San Jose. 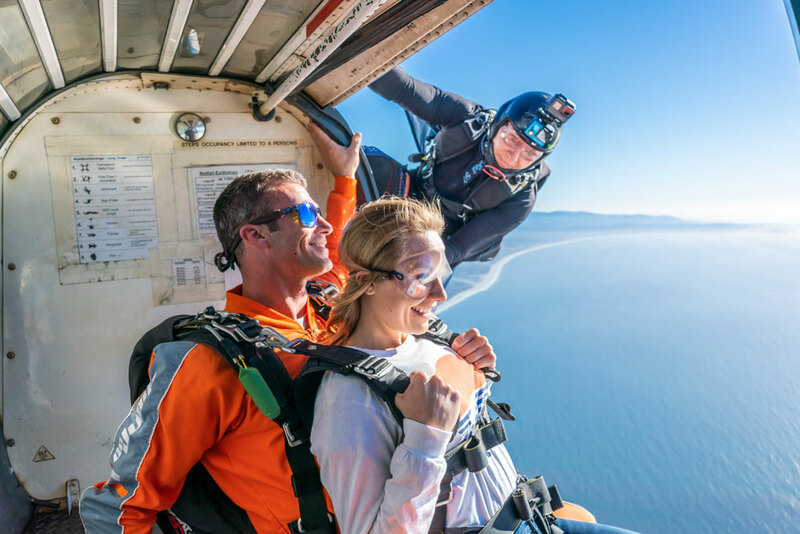 Take a giant step into the wonderful world of skydiving close to San Francisco and enjoy some amazing ocean views while you skydive. Let us introduce you to the thrill of freefall with our tandem instruction program. We have developed the safest, and most enjoyable, way for you to make your first skydive in the San Francisco/ San Jose area. Prepare for the adventure of a lifetime! With only 15 minutes of orientation and ground instruction you will ascend to skydiving altitude with your instructor. Attached to your instructor, you will exit the aircraft on parachute equipment built for two. Imagine yourself entering the boundless sky in freefall, hearing and feeling the rushing wind as you accelerate to speeds of up to 130 M.P.H.! This freefall sensation has been described by many as "floating on air" as you relax and become comfortable, your instructor may take you through a series of turns. At 5000 feet, you or your instructor will deploy the parachute. Enjoy a breathtaking ride on a modern ram air parachute over the scenic Northern/Central Californian coast looking at the Monterey Bay. In fact, we are the skydiving facility with the closest dropzone to the Ocean. 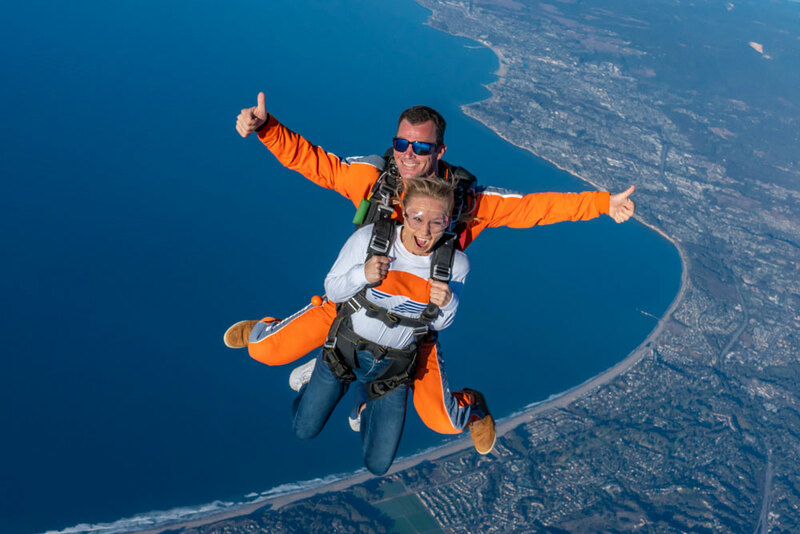 So during a Tandem Skydive with our partner Skydive Surfcity you will enjoyt THE BEST ocean views possible. Best of all, you will learn how to fly and control the parachute in this phase of your skydive. You will be able to practice your landings with your instructor for a smooth touchdown. This is a low pressure, high thrill and breath-taking skydive. It is a perfect first jump for those wanting an adrenaline adventure. Is it SAFE? As you probably know statistics can be used to tell you whatever you want to hear. It can be manipulated to make skydiving look very safe or very dangerous. We're not going to swamp you with numbers to tell you how skydiving is "safer than crossing the street" or try to prove to you that "it's safer to skydive than to drive to your local store". The USPA over a 10 year period reports an average of about 22.6 skydiving fatalities per year in the USA. However, Tandem skydiving fatalities are only around 1 on the annual average! Skydivers make millions of jumps each year. It is a sport with very real risks but also thrill (otherwise you would probably not be interested! ), but those can be easily and effectively mitigated through training and good judgment. Medical Fitness Medical requirements are seldom prohibitive. In the United States all skydivers must meet the USPA's Basic Safety Requirements for medical fitness. This simply means you have to be in reasonable health and physical condition. You should not be on medication which could affect judgment or performance. You will be required to sign a medical fitness release. When in doubt, check with your doctor and mention it to your instructor. It's not Bingo! Requirements You must be 18 years of age to participate in skydiving. The maximum weight allowable is 220lbs. with reasonable proportions of height to weight. Above this weight you can still skydive but special conditions will apply. 250lbs. is the maximum weight limit. You can NOT be under the influence of any drugs or alcohol. You should wear comfortable clothing and tennis shoes. And most importantly, you must be ready for the thrill of a lifetime. Spectators.Spectators can go up to our "Spectator Waiting Area" on the actual parachute landing areas. You and your friends are welcome to witness the landings form only a few feet away. Please: No dogs or alcohol! Children must be supervised by an adult at all times.